Dr J. 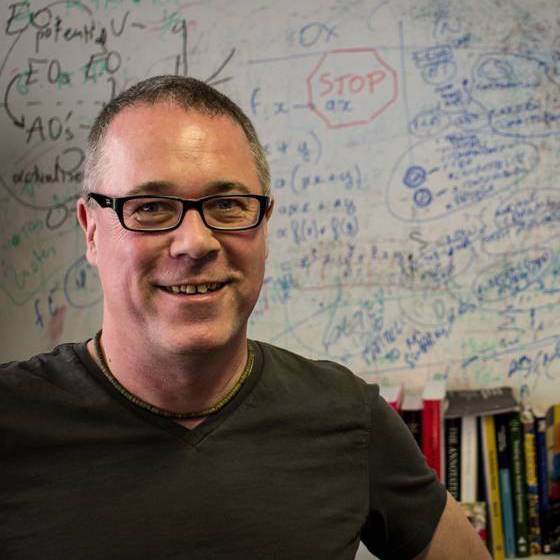 Mark Bishop is Director of TCIDA (the Tungsten Centre for Intelligent Data Analytics) and Professor of Cognitive Computing at Goldsmiths, University of London. Under the aegis of Cognitive Computing Mark's research spans Artificial Intelligence - its theory and applications - and the philosophy of Artificial Intelligence. Mark has published over 180 articles and two books alongside running research projects attracting funding in excess of four million pounds. His most recent joint venture with Tungsten Corp. secured £1.35million of private capital to fund TCIDA. In theoretical terms Mark invented, and subsequently led development of, Stochastic Diffusion Search (SDS). SDS fast became an important Swarm/Natural Intelligence paradigm, which subsequently enjoyed wide application in areas as diverse as mobile robotic localisation to computational creativity. In addition, Mark has significant practical experience in the application of Artificial Intelligence to real-world problems, most notably in the domain of spend-analytics (DTI), where the UK National Audit Office recently deployed software he co-developed to highlight potential savings in NHS annual purchasing of over £500million. In addition, Mark has successfully deployed A.I. in areas as diverse as: time-series forecasting (UK National Grid); face recognition (BT); optimisation theory (EPSRC); neural networks (DERA; the Science Museum); interplanetary mission planning (ESA); mobile-robot localisation (EU) and colour-physics (Courtaulds). In contrast, Mark’s research in the philosophy led to an influential critique of computational approaches to Artificial Intelligence through thorough examination of John Searle's 'Chinese Room Argument' (Preston and Bishop, (2002), "Views into the Chinese Room", (OUP). Experience from this project persuaded Mark to become one of the early pioneers of the so-called "4Es" - the Embodied, Enactive, Ecological and Embedded framework, - which emphasises the role of the body, the environment and culture in cognition. This research has led to several major projects, most notably funded by the EU, NSA and the Templeton Organisation. Most recently, together with Andrew Martin, Mark co-edited a collection of essays on "Contemporary Sensorimotor Theory", surveying the "sensorimotor-enactive" themes in current cognitive science. In 2010 Mark was elected to Chair the AISB. The AISB - the UK Society for Artificial Intelligence & the Simulation of Behaviour - is the world’s oldest society for the study of Artificial Intelligence and Mark served a four-year term as Chair. During this period Mark was co-opted onto the Organising Committee of ICRAC (the International Committee for Robot Arms Control). ICRAC is an International NGO campaigning for control of so-called “killer robots” and in this role Mark was invited to Chair a special UNESCO / PUGWASH meeting (2013) on ‘Autonomy and autonomous weapons’ and, as a member of ICRAC, shared an invitation to participate in three UN special sessions on “Lethal Autonomous Weapons” in Geneva (2014, 2015 & 2016). Mark has enjoyed a relatively high media profile: since 2013 he has been interviewed over 70 times in national and international media; in 2014 famously critiquing the doomsday predictions of Stephen Hawking, Elon Musk and Bill Gates (concerning the potential threat posed by future A.I.) - in this context an invited opinion piece for the New Scientist magazine rapidly became the most downloaded article of the issue. In 2016 Mark was invited to debate the future of AI with Prof Murray Shanahan (Imperial) over a full episode of the Radio 4’s series, "Agree to Differ".